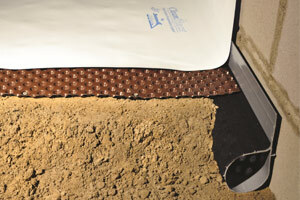 Reduces moisture & humidity in crawl space. Helps seal out cold drafts in winter. Suitable for installation over walls and floors. Super durable: 20mil thick, 7-layer polyethylene composition, with polyester cord reinforcement. 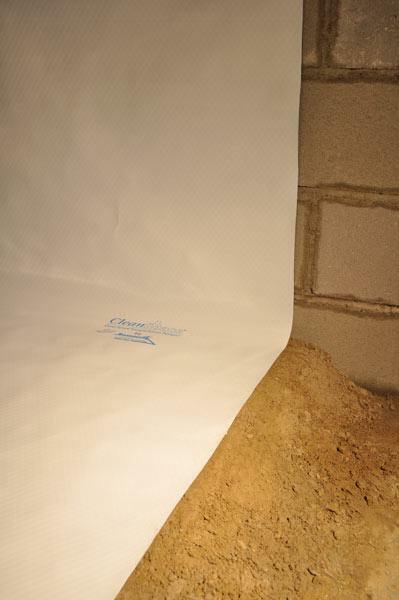 Can be used on basement and crawl space walls. Compatible with other crawl space materials. CleanSpace® is only available from a certified installer in your area. Contact us to request an inspection & get a free cost estimate to have it installed in your home. 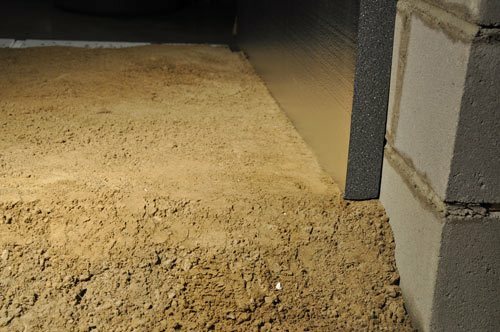 A crawl space that’s damp and dirty is more than just an eyesore. It causes health, safety, comfort and home resale problems. This happens because a damp, dirty crawl space creates a favorable environment for mold, mildew, wood rot, insects and animal pests. Who wants these difficulties right below a home’s living space? 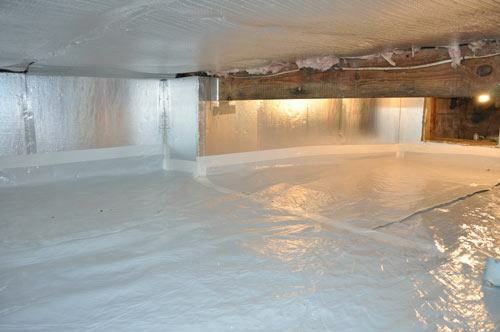 The good news is that a nasty crawl space can be transformed into a clean, dry, attractive and energy efficient space using the CleanSpace® encapsulation system. Vented dirt crawl spaces are huge energy wasters. In the winter, freezing cold air can enter into your home, making your floors and air in your home cold which will cost you more in higher heating costs. In this feature video, learn how Cleanspace can help reduce your energy costs, increase property value and have a positive environmental impact. Compatible products. 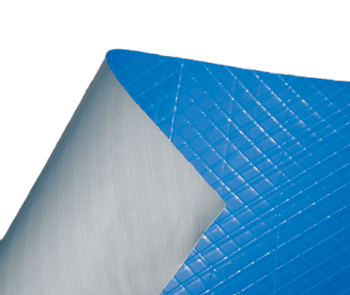 When the crawl space floor is damp or wet, drainage matting and SmartPipe™ perimeter drain lines can be installed before laying down the CleanSpace® vapor & moisture barrier. 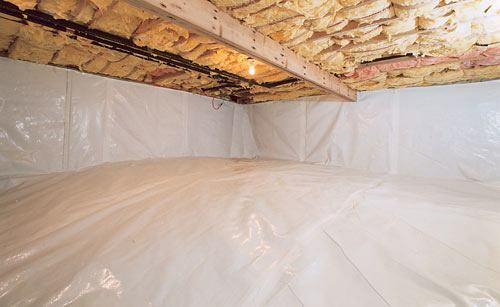 One of the key ingredients in our encapsulation system is the CleanSpace® vapor barrier, a super-durable, 20mil plastic sheet material designed to permanently prevent moisture, outside air and pests from getting into your crawl space. 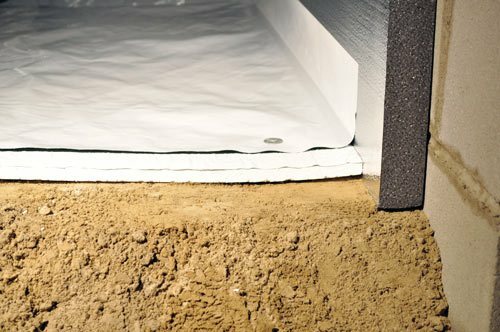 Your crawl space technician will install CleanSpace® poly over the foundation walls and floor to create a continuous air and moisture barrier. 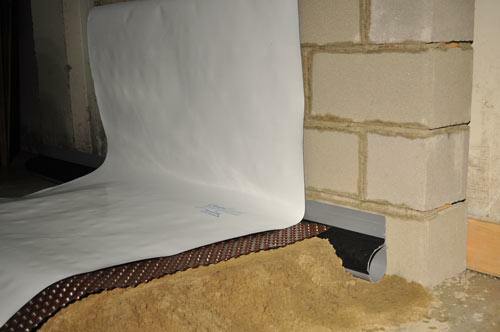 Depending on conditions in your crawl space, other crawl space products will also be necessary – like crawl space vent covers, insulation and drainage matting. Don’t worry; all these products have been designed to work together, transforming a “problem” crawl space into a clean, energy-efficient space that is no longer scary or hazardous to enter. 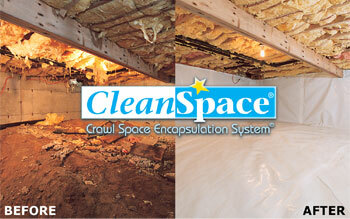 The CleanSpace® crawl space liner and drainage matting are installed exclusively by our dealers. Contact us today to request Free Estimate!